Don’t settle for less. 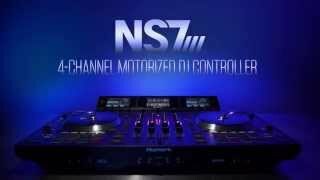 You demand no-compromise performance from your equipment and the NS7III delivers—like nothing else out there. 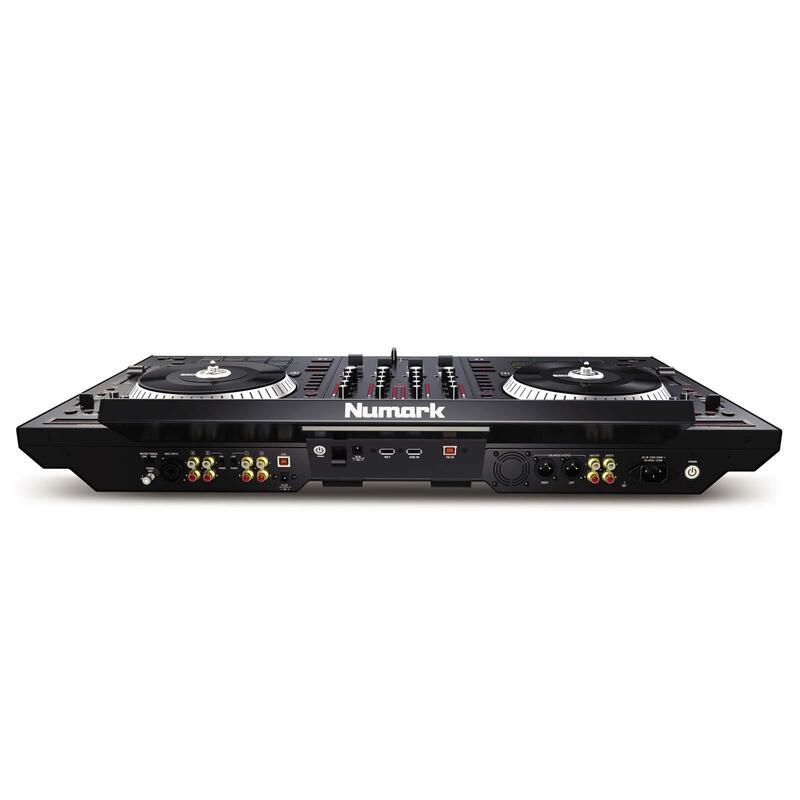 Building upon our acclaimed and wildly-popular NS7II, the NS7III continues Numark’s “best of both worlds” approach by fusing the power of a Serato DJ-managed digital music library with the highly-desired response of a professional DJ turntable. 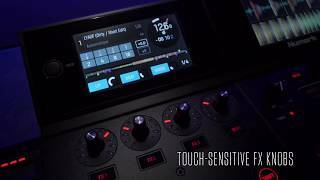 Then the NS7III really raises the bar with real time visual feedback of Serato DJ via three vibrant, 4.3-inch full-color screens. Two of the screens provide moving waveforms, playhead, deck, and FX status. The third central screen gives you a dedicated view of your track library. But this is really great—this third central screen can also be switched to display stacked parallel waveforms for complete beat matching control of your active programs. Now, you can manage all your critical performance elements with the source laptop out of sight or closed altogether. 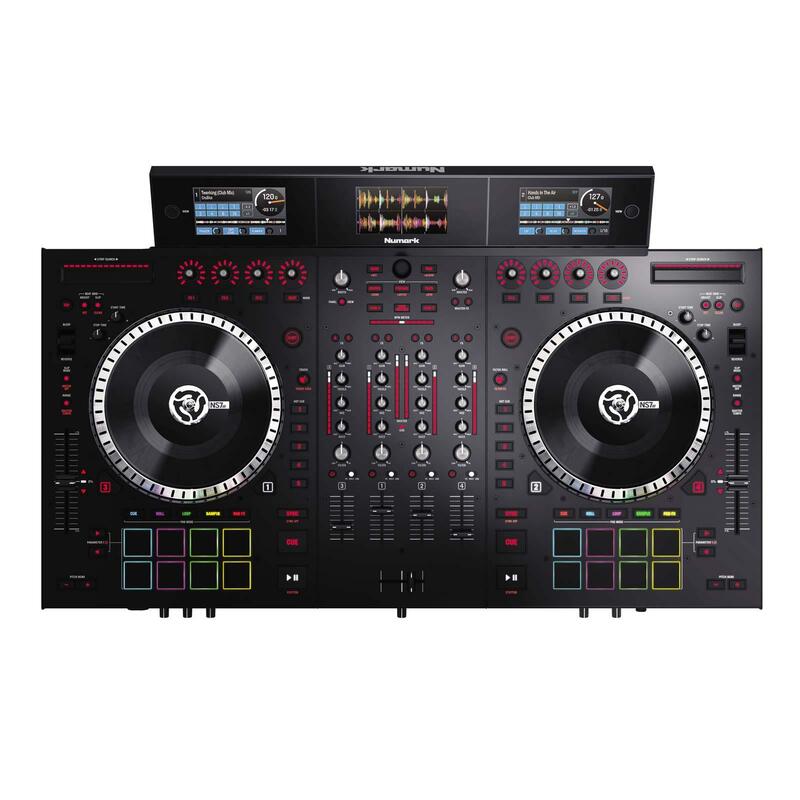 The NS7III includes the full version of Serato DJ software. 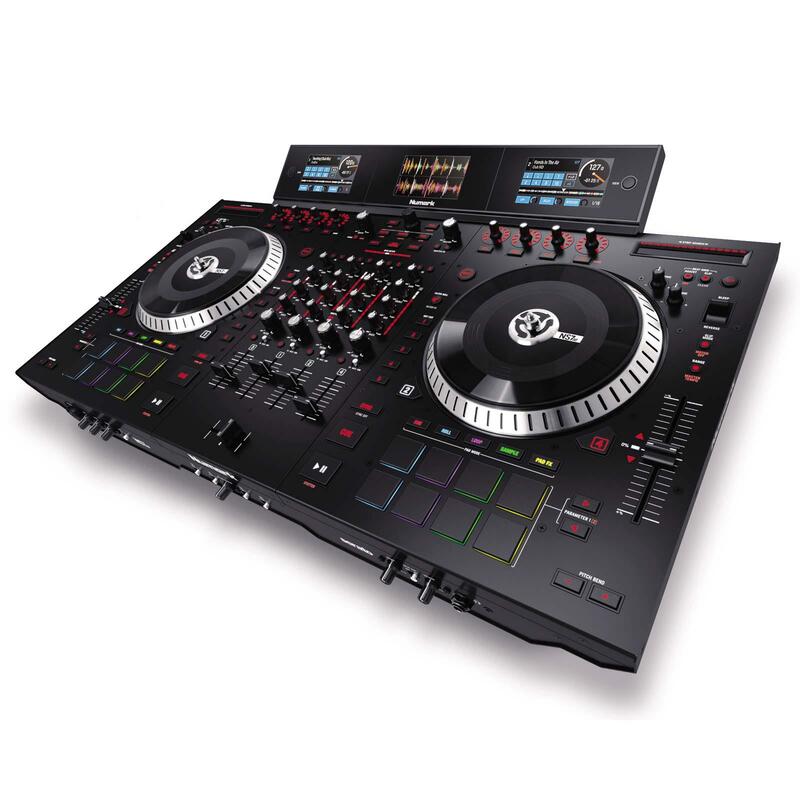 Get your hands on the most creative tool for Serato DJ available. 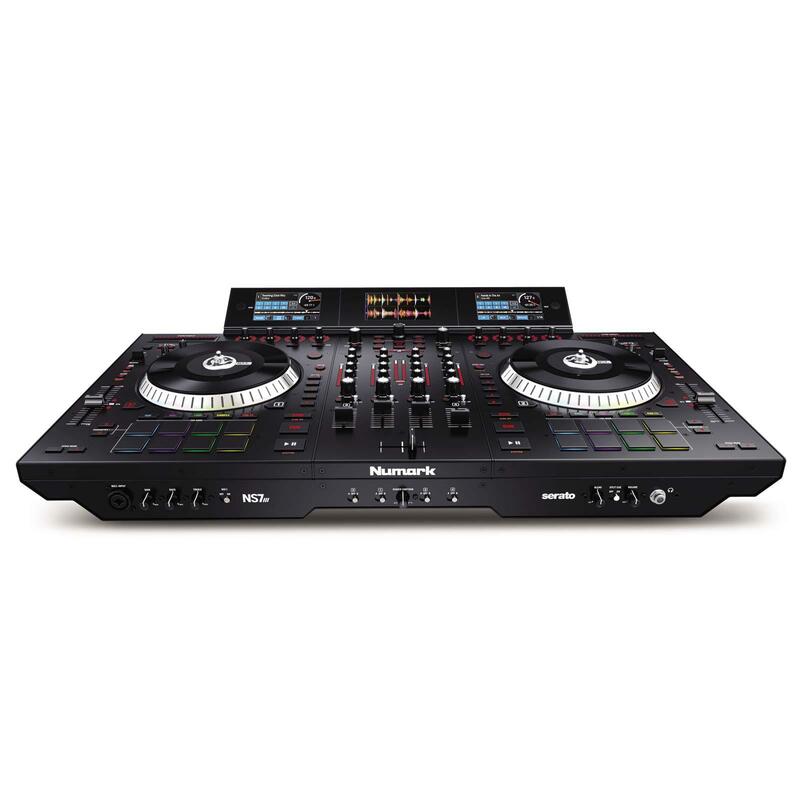 NS7III gives you the power to unlock never-before-seen features of Serato DJ through new and innovative hardware controls, including Filter Roll, Filter FX, and Touch FX, which all allow you to control Serato DJ simply by touching an element on NS7III’s control surface. 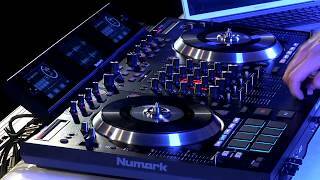 NS7III empowers you with spontaneous performance capability that feels so natural you’ll wonder where you end and the music begin.